Guess many McDonald's customers aren't lovin' it. McDonald's finished last in a ranking of its restaurant peers in a report released Tuesday by the American Consumer Satisfaction Index(ACSI). Fast food restaurants Papa John's, Subway and Taco Bell all scored better than the burger giant. Among restaurants specializing in burgers, Wendy's led the pack, followed by Burger King. 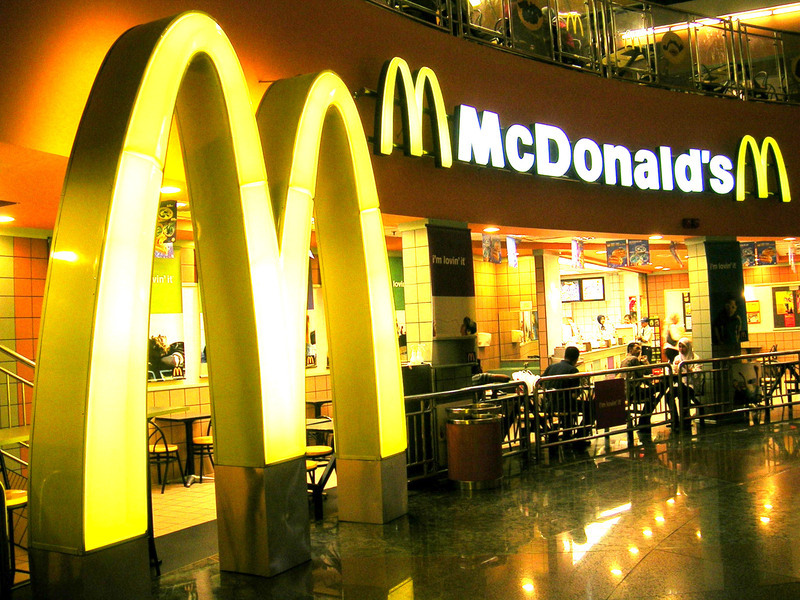 The ranking isn't new territory for McDonald's, which serves 68 million customers per day. Except for 2009, when McDonald's edged ahead of of KFC and Burger King by a percentage point, McDonald's has consistently placed last in the ranking since 1995. But Mickey D's is steadily improving. Its 73 percent satisfaction score in 2012 is a substantial gain from its all-time low of 59 percent in 2000. The company plans to spend $1.5 billion this year to make over its restaurants with more comfortable seating, WiFi, and McTV, reports Forbes. Recent menu changes have included smoothies, oatmeal, and bakery items. In May, McDonald's announced plans to stop buying pork from farms using gestation stalls that confine animals during the breeding and post-birth processes, a move the Humane Society of the United States considered a victory. And there is, of course, their latest claim that nothing on the menu is "unhealthy." Overall in the survey's findings, fast food satisfaction grew 1.3 percent since last year, while full-service restaurants, including Olive Garden and Chili's, dropped 2.4 percent. The ACSI score for each company is based on a sample of 250 customer interviews from more than 70,000 annually-conducted surveys.